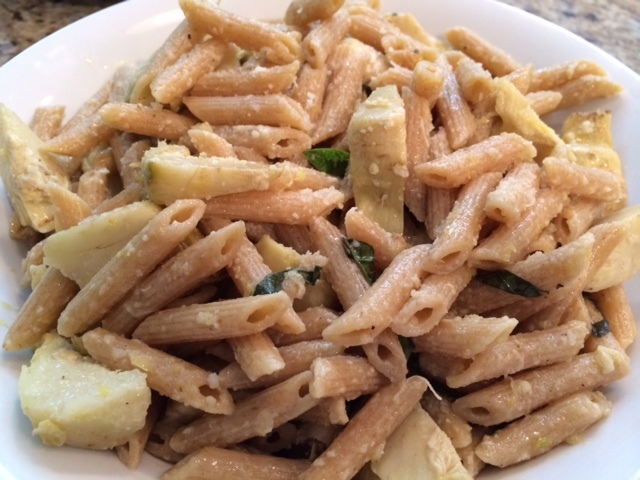 This new pasta recipe I created is quickly becoming one of my favorites. The fresh flavors of lemon and herbs are perfect for summer. 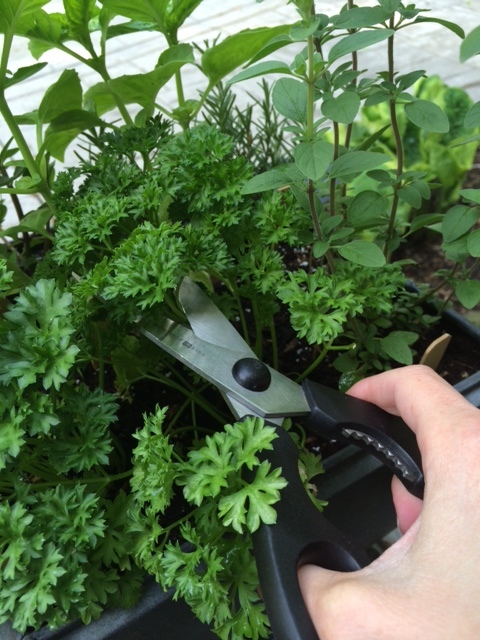 I’ve been cutting the parsley and basil straight from my herb containers that John and I planted. This dish is really quick and simple to throw together after a busy day of fun in the sun. I think you’ll love it too. Cook pasta according to package directions. Meanwhile, in a large skillet melt the butter over medium heat. Add the garlic and cook for a couple of minutes until fragrant. Do not allow it to burn. Add the artichoke hearts and cook over medium high heat for several minutes. When the pasta is ready, drain it and add it to the artichokes. Add the lemon zest and the herbs and drizzle with EVOO. Stir well. Stir in cheese and season with salt and pepper. 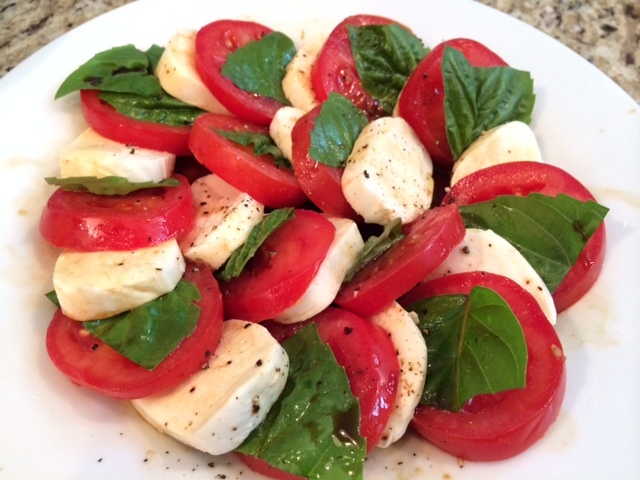 I served it with a lovely caprese salad. It was a hit! On Sunday I ran my second marathon. My second marathon. Did I really just say that? You see it hasn’t quite sunk in yet because it was just three weeks ago that I ran my first marathon. 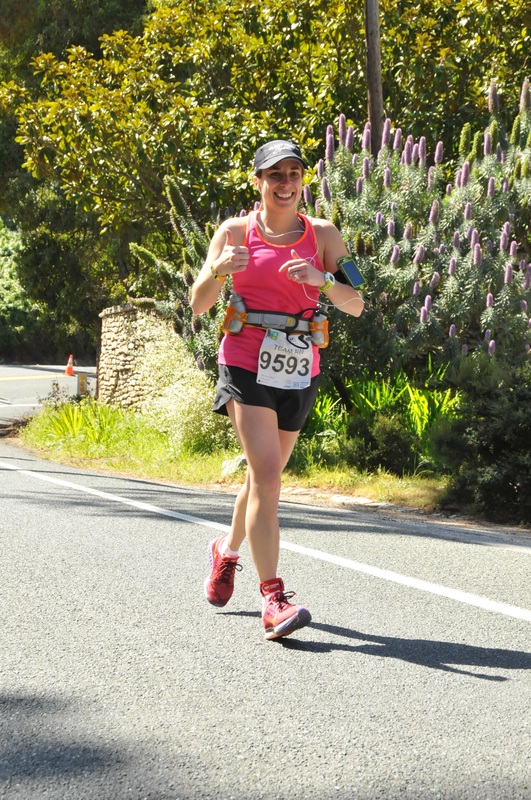 The one in Big Sur, California where I was reminded that “faster is not always better.” When I wrote about that lesson that I learned there in My First 26.2; Running the Big Sur Marathon, I really did believe it to my core. I still do. But that doesn’t mean I didn’t want to run my next race faster to prove to myself that my body could run a marathon the way my mind knew I could. 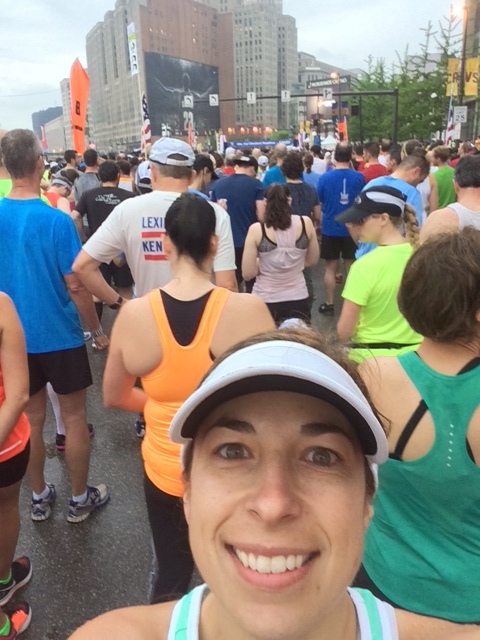 On May 17, 2015, at the Rite-Aid Cleveland Marathon that’s exactly what I did. I was feeling unsettled. Uncertain if I had made the right choice to run another full marathon just three weeks after my first. Had my body recovered enough to do it again? And faster than before? I had signed up for this race earlier in the spring as a sort of “back up plan” if something happened to prevent me from running Big Sur the way I wanted to. For the three weeks after Big Sur leading up to the Cleveland race I wavered. Standing at the start I was confident and excited, but my nerves were trying to let questions like, “Should I have run the half instead?” creep into my head. I knew if I allowed my mind to be weak for even just a little while, my body would NOT run the race I knew that I could. I had put in the miles. I was running the full marathon today! Big Sur was like my long training run for this race. 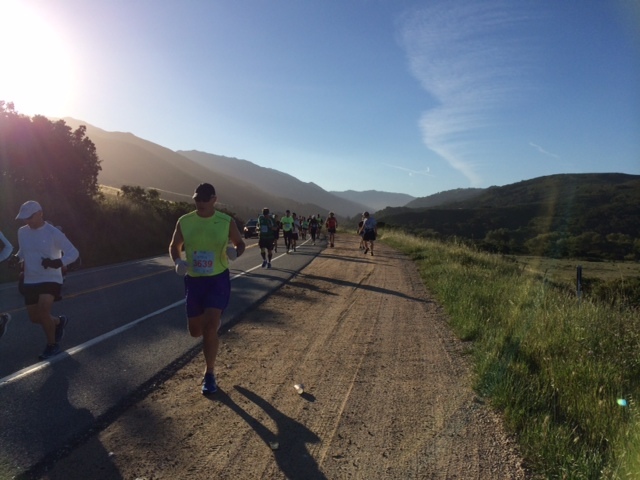 This was my chance to run a marathon the way I had intended to in California but couldn’t because the hills took too much out of my legs far too early in the race. Minutes before the starting horn sounded, the skies opened up on us. While I normally enjoy running in the rain and I would welcome a nice little shower later in the race , I wasn’t super excited about getting wet before the race even began. The rain subsided just as we began to run, leaving behind air so humid you could virtually cut it with a knife. Not a runner’s ideal conditions. We began outside of Lebron’s home court at Quicken Loans Arena and the first few miles took us through the city streets of Cleveland through Playhouse Square and then passed The Indians’ Progressive Field heading west over the bridge toward Tremont. Throughout those first five miles or so I was feeling pumped up, yet still a little jittery and nervous about the enormous task ahead. I smiled at the groups of spectators scattered on various blocks, reminding myself to have some fun while I was feeling good. I powered through the first several miles as we zig-zagged our way through the residential streets of Tremont and Ohio City. While I had reviewed the course map a few times, I lost track of exactly where we were and even what direction I was heading in. Checking my pace at each mile I was holding on to 8:45 minute miles or so and feeling very comfortable. The 3:55 pace group was just ahead of me and I was keeping up with them without feeling too challenged. I could have run faster, but wanted to conserve energy. I felt very strong into Mile 9, singing along with some low-key songs from Pandora’s Mumford & Sons station and waving to families watching us run by from their front porches or from the end of their driveway. In the back of my mind was the dreaded half-marathon/marathon split near Mile 9.5. Finally it had arrived, the point where the half marathoners split off to head back toward the city to finish their race. The marathoners were directed to the left to weave through some more residential neighborhoods and then head further west up the lakeshore. Physically I was feeling strong. 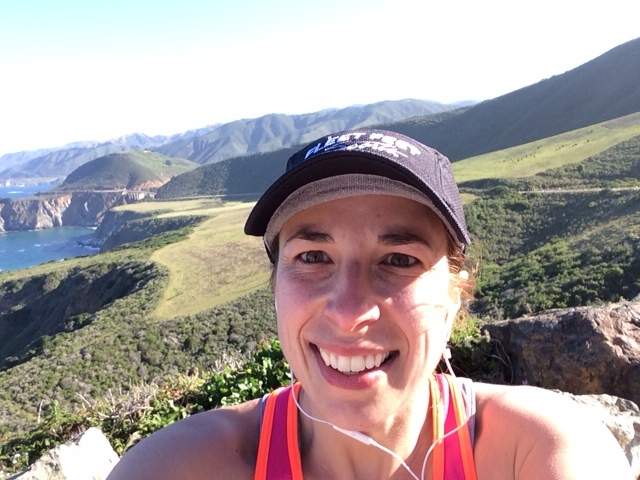 I was thinking back to my run in Big Sur when at mile 10 through 12 I was climbing Hurricane Point. The flat course here in Cleveland made the task seem simple… for a moment. Mentally those miles from 9 to 13 (the halfway point) were very tough. I was envisioning my friends running the half marathon who were about to cross the finish line, while I hadn’t even made it halfway through my race yet. Focusing on my music, the spectators and how great my body was feeling, soon I wiped those thoughts out of my mind. In my first race I really struggled through miles 14 to 20. Here in Cleveland, these miles were some of my best. We reached the out and back straightaway on Lake Avenue that I had envisioned as our last stretch of road to the finish line. Beautiful houses lined the streets along with enthusiastic spectators smiling and cheering. My legs felt strong, minus a little bit of complaining from my knees. My pace had slowed to 9 minute miles, but that was what I planned to run in the first place. My lungs were like machines, not at all winded and in my “zone”. I’m telling you, if I could get my legs to cooperate, my lungs could run a three hour marathon. But I’m learning I have to slow down in long distance races to save my legs for the later miles. Around mile 15 or so, the leaders were passing by going the other direction including some wheelchair racers. I found myself cheering for them and shouting, “Great job! Go Girl! Way to go!” This had me feeling positive. I was actually having fun, singing out loud and waving to spectators to say, “Thanks.” Here I began to think about a saying I love so much that I had it placed on a plaque for my husband to hang his marathon medals. It says, “The body achieves what the mind believes.” I began contemplating how positive thinking can completely shape the race you run. If you think about all the negative things that are happening to your body, your body will shut down. If you focus on what feels good, your body will indeed achieve what your mind believes. It began to drizzle again, but I didn’t care. I love running in the rain. I felt empowered and refreshed. I kept powering through the miles knowing that the turn around would arrive soon at mile 17.5. Close to the turnaround my husband passed by going the other direction. We gave each other a high-five and kept running. As the turnaround approached it was raining heavily. I knew the remaining eight miles would be the most challenging yet, but I raised my arms as I turned celebrating the home stretch. Between miles 18 to 20 my legs were suddenly beginning to feel very tired. Yet compared to how they felt three weeks earlier in Big Sur I knew they still had enough left in them to finish the race the way I wanted to. My pace was getting closer to 9.5 and then 10 minute miles. At mile 20 the 4 hour pace group suddenly came out of nowhere. As they passed me I tried to speed up. Four hours was my “pie in the sky” goal, just as it was in Big Sur. Except today I was watching my watch and I knew it was actually feasible. I kept up with them for about a mile or so, but my legs just didn’t have it in them. I was worried that I would run out of gas if I went too fast. So at mile 21 or so I let them drift out of sight. Even if I didn’t beat 4 hours, I knew I would definitely meet my goal of beating my 4:41 time in Big Sur. Miles 22 to 24 were VERY challenging. My legs were starting to shut down, but my mind and energy was still going strong. My smile had faded. One of the things I had beat myself up about after Big Sur was that I had to stop and walk and stretch. I told myself that this time, no matter what, I would NOT walk. So I didn’t. I kept running. Minus a few tiny steps through the last water stations just long enough to drink a few sips of water and not choke, I never walked the entire race. I wasn’t going to do it now. As we made our way on to the Shoreway the shade had disappeared and the sun was blazing down on us. I was virtually shuffling along, but I was not walking. I shuffled up the last hill. It felt steep, but compared to the mountains I ran up in California, this was nothing. At this point I pretty much zoned out. I just kept putting one foot in front of the other. There was virtually noone else around me other than one man who looked like his legs felt about as spent as mine. That last mile on the Shoreway seemed like an eternity. I reached the exit ramp and the police officer there shouted, “Only 300 yards and you’re there!” The finish line crowds began to grow bigger. Everyone was looking for their loved one, but I could swear they were only watching me. With a huge smile on my face, tears in my eyes, a quiver in my lip and a lump in my throat, I came closer and closer to the finish line. My heart was on fire with pride. I could see the clock ahead and could tell that it had passed four hours, but it didn’t matter. I had run the race I set out to run. I persevered through the doubt and the discomfort. I didn’t walk. I ran the pace I wanted to run at (until mile 20) and I finished close to 4 hours (shaving 35 minutes off of my Big Sur Time). I ran with a smile on my face, a song on my lips, a positive mind and happiness in my heart. I didn’t let those moments of doubt creep into my mind, hijack my race and talk my legs into stopping. I kicked the negative thoughts to the curb and showed them who’s boss. 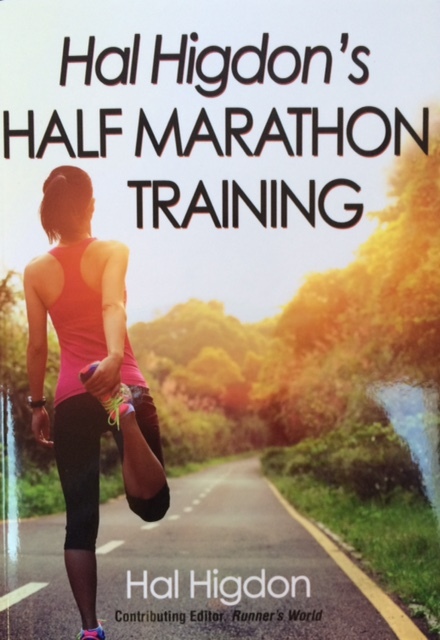 I had succeeded at proving to myself that my body could run a marathon the way my mind knew I could. Positive thoughts feed positive achievements. It is a pretty simple, but very powerful idea. Not just in running, but in life. It can transcend the way you live. For me, it is a reminder that you can achieve anything you can dream, whether it is an athletic goal, a career goal, a personal goal or even a parenting goal. 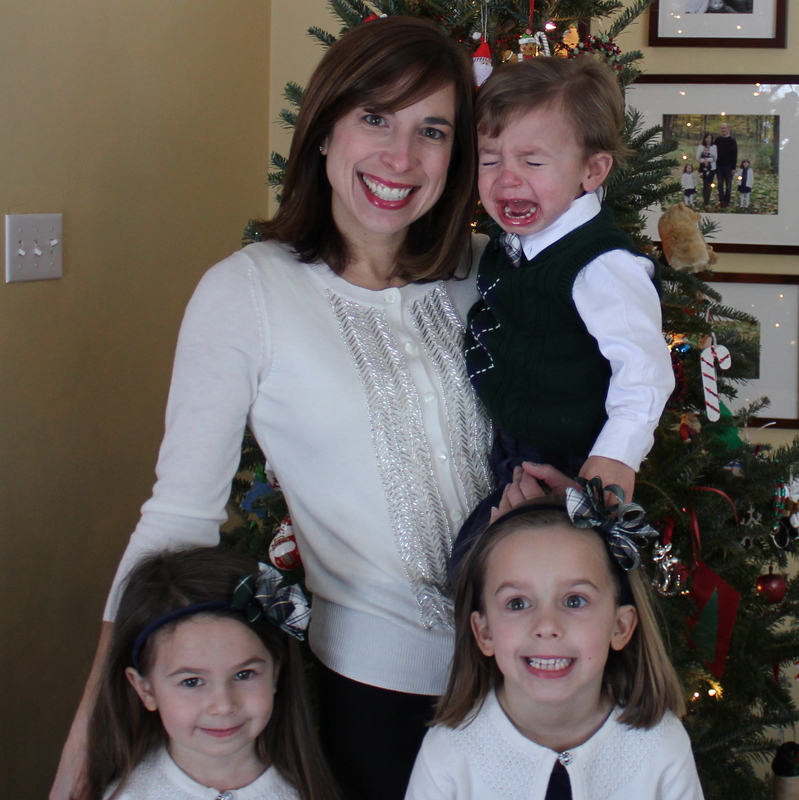 (Like, not yelling at your kids today, which may be an even more difficult task than running a marathon.) But, all joking aside, this is a life lesson I strive to teach my children and myself. Sure there are always obstacles in life; pain, logistics, time, money. But, if you don’t let doubt, uncertainty, negativity, fear or naysayers hijack your dreams and goals, you can achieve virtually anything your mind believes. Right now I know some of my non-running readers might be thinking something like this, “Yeah, I know. You ran really far. Lots of people do it. Congratulations, but what are you trying to prove?” Or maybe you might be thinking, “I could never do that, nor do I want to do that. It’s not appealing to me. I don’t get it.” I used to have those exact same sentiments only a couple of years ago. Running isn’t for everyone. But here’s what I’ve discovered. I’m no marathon or running expert, but now that I’ve run two of them, I’ve found that, for me, running a marathon actually has only a little to do with the act of running. It has so much more to do with the journey through which you teach yourself to believe that you (your body, your mind, your soul) can achieve anything you put your mind to. Crossing the finish line of a race is actually just the beginning. Because once you understand this about yourself, you cross the starting line to a whole new world of opportunity. One where no challenge is too big. With that confidence you can live a happier life, share your gifts, create positive change and make the world a better place. But perhaps you don’t have to run a marathon to do that. You just have to believe. Celebrating Cinco de Mayo doesn’t have to mean dolloping on sour cream and cheese or carb-heavy tortillas. If you want to make something festive but clean and simple, I have the perfect recipe for you! The combination of the spicy cajun seasoning and the sweet fruit is super yummy! Brush baking dish with a small amount of olive oil to prevent sticking. Place grouper filets in baking dish. Drizzle with oil and spread evenly over fish. Sprinkle with cajun seasoning. I use the “Slap Ya Mama” brand which only includes salt, red pepper, black pepper and garlic. If you can’t find this brand, you can combine these ingredients to make your own. Place fish in the oven under broiler and cook for approximately 20 minutes until the fish is cooked through and lightly browned on top. 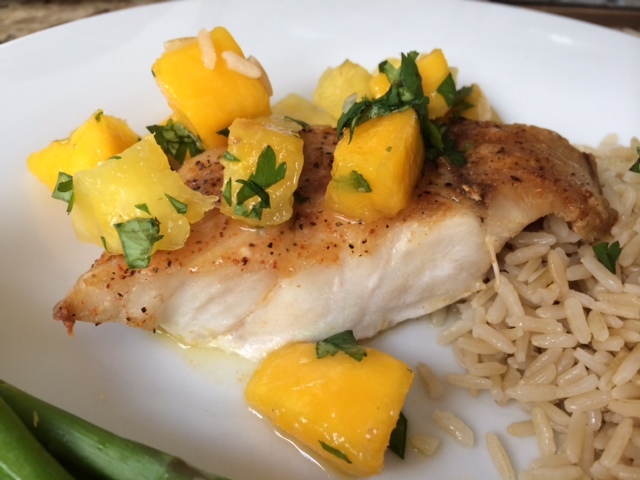 While the fish is cooking, prepare the salsa by combining the chopped pineapple, mango, lime juice and cilantro in a small bowl. Mix well. Place cooked fish on plate and top with salsa and a sprinkle of cilantro. Serve with brown rice and vegetable (I used asparagus) or black beans. If you like the idea of wrapping this up in a tortilla, this would make a delicious fish taco! I like the Food for Life brand Sprouted Corn Tortillas with only organic sprouted corn, water, sea salt and lime. You could add some avocado in there too. Yum! To adjust for the kiddos, simply don’t put the cajun seasoning on one or two of the grouper filets. Just use salt and pepper instead. The alarm was set for 2:45 am, but I was already awake. Full of excitement and nerves, I couldn’t keep my eyes closed a minute longer. So I popped out of bed and began getting myself ready for the day, the one I had been anticipating for months. 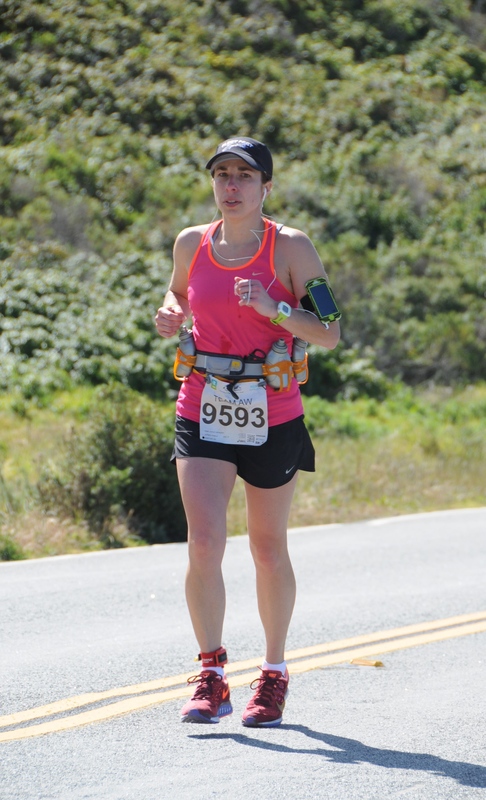 It was Sunday, April 26th and I was about to run my first marathon, The Big Sur International Marathon. Twenty-six point two miles of mountainous, jaw dropping beauty from Big Sur to Carmel, California. After brushing my teeth I sipped a small cup of coffee and began putting on the gear I had carefully laid out the night before. The butterflies that usually begin to flutter in my tummy the morning of a race were surprisingly absent. I was feeling confident. The training runs I had done through frigid winter temperatures and snow had me feeling more ready for a race than ever before. At 3:30, ready to go, my husband and I made our way from our hotel room to Monterey Peninsula College where we would soon board a school bus that would take us on the one hour ride down the California coast from Carmel to the starting line in Big Sur. Still three hours until race time we quietly ate our pre-race meal, the same one I eat every time. A whole wheat bagel with peanut butter and a banana. Driving the hilly 26.2 miles we were about to run was downright intimidating. Luckily it was still very dark so we couldn’t fully see what we were about to subject ourselves to. But we had been here before just last year when I ran 17 miles in the relay. Even in the dark there was no mistaking Hurricane Point, all two miles and 550 feet of it. As we went down, down, down, all I could think of was the tough run it would be going up, up, up, later that morning. 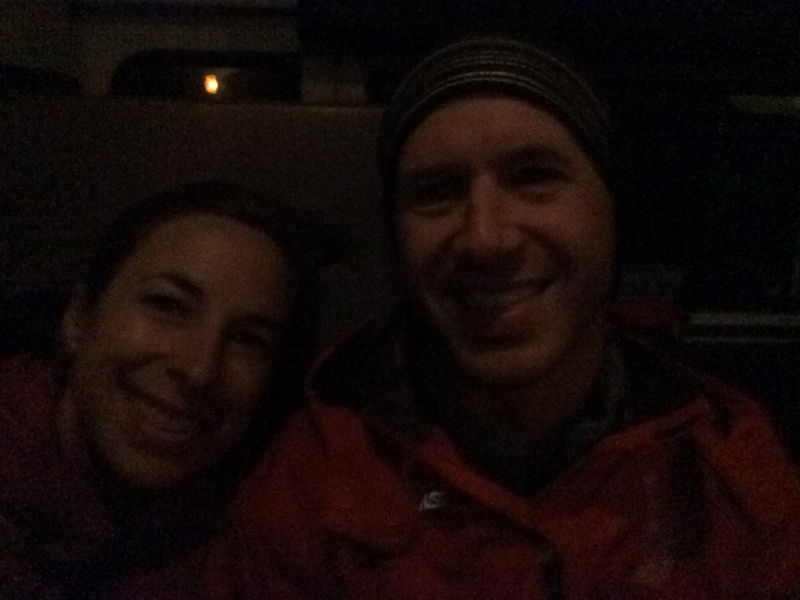 We reached the starting line at Big Sur Station at about 5:00 am where we sat on the asphalt parking lot there in the darkness, the cold mountain air surrounding us. 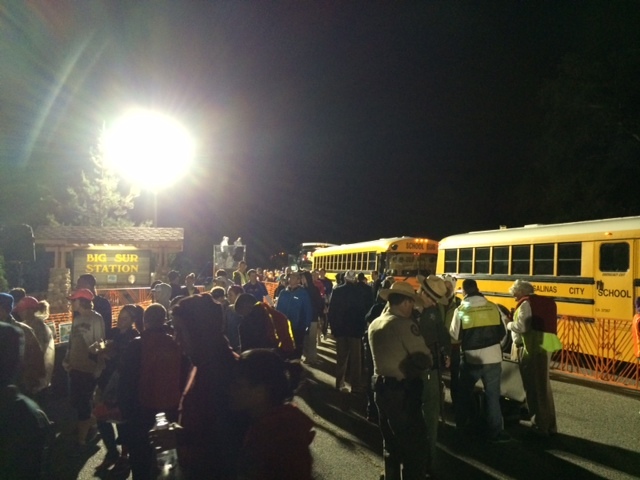 About 4,500 runners chatted, some old friends, some new acquaintances. All excited and nervous to start. At about 6:15 the sky began to lighten and the activity began to build. Runners started removing their warm outer clothes, putting on their race numbers and water belts, preparing for the trek back to Carmel. With temperatures projected to reach 65 and clear skies it would be perfect race weather… except for the 20 mph winds. After dropping our bags in a U-Haul truck we made our way to the starting line. Highway 1 which runs along the coast is closed down for the race so we lined up in the middle of the two lane highway by projected finish time. A drone with a camera hovered above the starting line as we sang the National Anthem. Finally after months of training, the moment was here. I was about to run my first marathon; 26.2 miles! The excitement and energy was palpable. I was READY! And then, we were off! The race started on a nice downhill slope. It was difficult to control the excitement, and my legs. The first five miles were some of my favorite. Through the redwood forests of the Big Sur California wilderness, past quaint lodges and cottages we ran, a dozen or so spectators were scattered every mile or two. I started out thinking I wouldn’t turn on my music until mile ten when I would ascend the dreaded Hurricane Point, but I found myself longing for my favorite songs to drown out the clip-clopping of my feet and the voices in my head reminding me that I still had 25, 24, 23 miles to go. Some initial pain in my feet from my bunions haunted me, but eventually went away and never returned. The gradual rolling hills here were pleasant. At just 7:00 am or so, the sun had not yet risen high enough to warm us up. The air was cold, but everything about those first miles was perfect. I was running 8:45 minute miles and while nervous about ALL the miles to come, I was feeling great. As the road began to emerge from the forest and into a clearing, we got our first glimpse of the ocean. Cows at pasture seemed to watch us go by as if they were spectators. I do believe those are the luckiest cows on the planet, grazing in fields overlooking the Pacific Ocean. The sun felt wonderful, but it’s warmth was negated by the strong, cold headwind. It was enough to nearly blow my hat off several times and even toss me around on the road a bit. I quickly realized how much extra energy it was taking me to climb the gradual but significant hill through miles seven and eight. My pace slowed to nine, then nearly ten minute miles. Feeling cold, but strong I tried not to focus too much on my time, reminding myself to enjoy the unbelievably beautiful course. I stopped for a second and took a couple of photos as we approached the lighthouse. Somewhere on this stretch the four hour pace group passed me. Four hours was my unrealistic, pie-in-the-sky, keep-to-myself goal. They were going much faster than I felt I should go up the hill, so I let them pass. During mile nine we reached the top of that long gradual climb and there we saw it, our first view of Hurricane Point in the distance. Making the descent into the valley all the way down to sea level, I was mentally preparing for the enormous challenge ahead. The Taiko drums at the bottom of the mountain were beating like our hearts were about to. They were like a drum announcing the battle ahead. At mile 10 we began the ascent. My breathing and my heart rate which until now was steady and calm, began to build. Up, up, up we started. All 550 feet of it. At first it felt beastly, but as I continued to move upward it felt manageable. I refused to walk up this mountain. I had done it last year (this was where I started) and I WOULD do it again. I wanted to know I conquered Hurricane Point. One foot in front of the other, slowly, slowly, slowly I went, like The Little Blue Engine chugging up the mountain. “I think I can. I think I can. I think I can,” I thought. The further I went, the stronger and more capable I felt. I could have sworn I was near the top, but then I passed the sign reading 11 miles, which meant I was only half way up. Still another mile to go. You see, this mountain is a tease. You get to the top of one curve to find only another and another and yet another. I knew I was going slow and my pace was no longer 10 minutes per mile. I tried not to look at my watch to check. To make things worse, the wind was relentless. I turned and said to the girl next to me, “As if this weren’t hard enough!” We chuckled, but she was too winded to say anything back. My legs were tired and I considered whether I should walk a bit to conserve energy, but I refused. Finally, I reached it, the TOP of Hurricane Point. I paused for a moment to relish my success, soak in the insane view and document it with a photo. That’s when the 4:15 pace group passed me. “Damn!” I said, and began running down the other side of the mountain. Here I realized just how much of a beating that climb had given my legs. My hip flexors were already beginning to ache a bit, my calves, quads and hamstrings tight with fatigue. 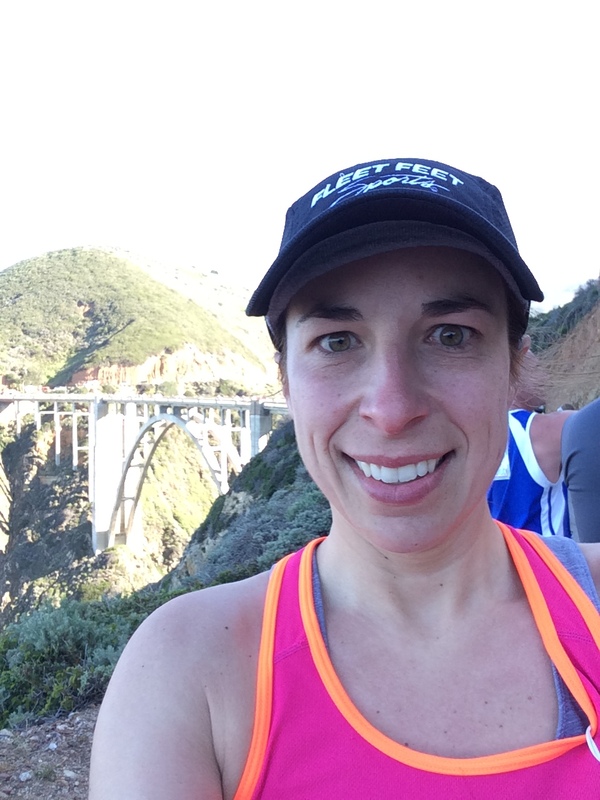 While I had been looking forward to getting to the picturesque Bixby Bridge to enjoy it’s beauty and celebrate making it halfway, I began to feel worried about the second half of the race. At 13.1 miles, the bridge lies exactly halfway between the start and the finish. After having run five half marathons and some 15, 17 and 20 mile training runs, I know how I usually feel at 13.1 miles, usually still pretty darn strong. Sure, my legs are commonly a little tired, but not like this. It was here that I realized that I hadn’t worked enough steep hills into my long training runs. I had run hills, but not 550 foot, two mile climbs on my longest runs. The hills of the first half and the downright brutal incline of Hurricane Point had taken too much out of my legs. I tried to ignore the worrysome, negative thoughts and replace them with positive ones. I reminded myself of how much I had just accomplished. I had finished HALF of my first marathon! I ran up a really freaking tall mountain and stood at the top looking out over the steep cliffs falling into the Pacific Ocean! 13.1 Miles my watched blinked. 2:07. My fastest half marathon time is 1:49 and my slowest 1:53. Never had I taken more than two hours to run a half marathon. But I knew that was ok because I also had never run such a tough course. I crossed the bridge to the sound of the piano music echoing against the mountains then stopped for a photo by the infamous baby grand and continued on. After climbing another large hill I descended the other side, my legs feeling slow. As backwards as it sounds, going down the hills at this point was actually more difficult than going up them. My hip flexors and knees were sore. I was working toward mile 15 as that was the end of the third five mile chunk I had broken the race into in my head; 5, 10, 15… check! Around mile 16 or so my eyes felt sort of cloudy. The strong winds had been blowing dirt into my eyes for over two hours now. I had a big chunk of something in there so I began rubbing my eyes to try to clear them. My left contact got stuck somewhere in my eye. The more I rubbed, the more worried I became that it would fall out into the dirt. So I moved to the side of the road where I stood for what seemed like several minutes trying to get my contact back in place without the heavy winds blowing it into the gravel below. Slowly I fished it out, carefully placed it back in my eye and carried on thinking about how interesting it would have been to run the second half of the race unable to see. I am as blind as a bat without my contacts. My legs were starting to feel really tired and sore, my quads, hamstrings, calves and hip flexors were almost entirely cramped up. Surprisingly, my feet which I had been so troubled by all throughout my training were fine. The toe separators I was wearing for my bunion pain were more helpful than they had been during my training runs. The blisters on both little toes were painful, but tolerable. What I had not anticipated was what the steep mountains and hills would do to the muscles in my legs. Somewhere around mile 20 my watch battery died. Ironic? Perhaps. I was honestly a little relieved because at this point I was so far off my unrealistic goal time that I wanted to ignore my time altogether. I knew I was moving much slower than normal up the remaining hills. I wanted to focus on the beauty of the course and think only of what I love about running instead of how fast or slow I was going. On these rolling hills my mind was still strong, but my legs began to fail. My thoughts were still positive, although I’m certain I did tell myself one time that I didn’t plan to run 26.2 miles again. But I had plenty of energy and my breathing felt great. My legs were simply starting to shut down, telling me they couldn’t take any more. My hip flexors literally couldn’t pick up my legs any more. My strategy became to walk through the water stops where they also offered local produce; orange slices, banana chunks and strawberries, a welcome treat. At a couple of them I even stopped for a few minutes to stretch hoping to get more miles out of my legs. Turned out that walking didn’t feel any easier than running. And starting up again after stopping was harder than it was to just keep running. So I kept running, very slowly. There is no doubt that miles 20 to 26 of a marathon are what separate the men from the boys, as they say. After getting through miles 20 to 22 I was feeling a little more confident. Four more miles seemed feasible. It would just take me longer than I had hoped. With no idea what my running time was, my only goal was to get to the finish line. Just then I was greeted by another steep incline at mile 22 and then another at 23. My strategy now became to walk up the hills and run down them. Feeling defeated walking up them, I was yelling at myself mentally, “You didn’t come here to walk. You came here to run!” So I started running. At mile 24 I decided no matter what pain I was experiencing, I would NOT stop running until I reached the finish line. So I ran. Down the hill of mile 24, then up the final brutal hill in mile 25. I was uncomfortable, but my mind was so focused on meeting my goal that somehow my brain finally succeeded at telling my legs to shut up and stop complaining. I knew I was running slow, but the others around me were walking, so I felt fast. My speed didn’t matter at that point. I was running. I was about to achieve the goal I had worked so hard to reach. In those last miles I thought about the training runs I had done through snow and rain and through single digit temperatures. I thought about the double digit miles I ran on the treadmill when the temps outside were below zero. This is what I had trained for. Right now. So I kept running. Slower than a snail, but I was running. I thought about my three precious children from whom I had been away during long weekend training runs and the sacrifices I had made to put in the time and effort to get to this point. I thought of all the hours I had spent running while the kids were at school instead of doing housework and tending to my responsibilities. I thought of how my in-laws so graciously agreed to babysit our kids so we could come fulfill a dream. I couldn’t give up now. I kept running. I thought of the expense of our trip from Ohio to California. I didn’t want to leave here feeling disappointed that I didn’t accomplish my goal. So I kept running. In those last two miles I thought about the 16 million children in our own country who go hungry and the generous friends and family, new and old, who donated to my personal No Kid Hungry campaign and the nearly 5,000 meals that we helped provide children in need. To honor those donors and those children, I kept running. Soon, finally, I could see it! Spectators were gathered near the finish line. There were few compared to the number of people at the finish line in New York City where we watched my husband run, but many compared to the rest of this course. I turned off my music and listened to the cheers of the crowd. With each step I was closer to my goal. The pain in my legs was still there, but it had been silenced by the cheers of success screaming from my soul. I could see the clock; “4:41? Really? Wow. Shoot.” I thought. Tears of joy filled my eyes and as if in slow motion, I crossed the finish line lifting my arms to the sky. I’m not sure I can really put the emotions I experienced next into words. Pure satisfaction, pride, love, happiness, total euphoria. After celebrating my finish with my husband who had reached the finish line before me, I slowly munched up my post-race food and we headed back to our hotel for a quick shower. Before setting out on the drive back down to Big Sur where we planned to spend a couple of days of R&R we limped into a cute restaurant in Carmel where we refueled with a delicious late lunch and a beer. I was still sort of in disbelief about what I had just accomplished. The reality hadn’t quite sunk in yet. It all went so fast, well sort of. In many ways it had been the longest morning of my life, but in others it seemed like a big blur. I was very proud of finishing and still in awe of the extraordinary scenery that surrounded me all 26.2 miles. It was an amazingly rewarding and truly awesome experience. As Andy and I talked through all the ups and downs of our race, I began to fall into my normal, “How did I do?” mode. Since I began running, I’ve discovered that I am more competitive than I realized. My time, 4:41, was far from the 4 hour goal time I had projected in my head. I see now that the only problem with that goal time is that it was totally unrealistic for me for the Big Sur Marathon, full of steep hills and 20 mph headwinds. It was totally unrealistic for my first marathon. I guess I originally figured that if I could run half marathons in 1:50, I could certainly do a full in 4 hours. After all, I had run my 20 mile training run in nearly 3 hours. I realize now that I didn’t account for what those steep hills would do to my legs and how that would affect that last miles of my race. After encouragement from my husband and my running mentors, I began to put things into perspective a little better, but I’d be lying if I told you I had completely let it go. NONE of the reasons I run have anything to do with SPEED. I run because I love THE GREAT OUTDOORS. There is nothing quite like the feeling of my own feet pounding the pavement, moving me through this great planet; over rivers, through forests, past farms, up mountains and down valleys. From one village to the next. I take it all in; the cold air on my skin, the wind in my face, the trickling water, and the singing of birds. Getting outside for a run feeds my soul! 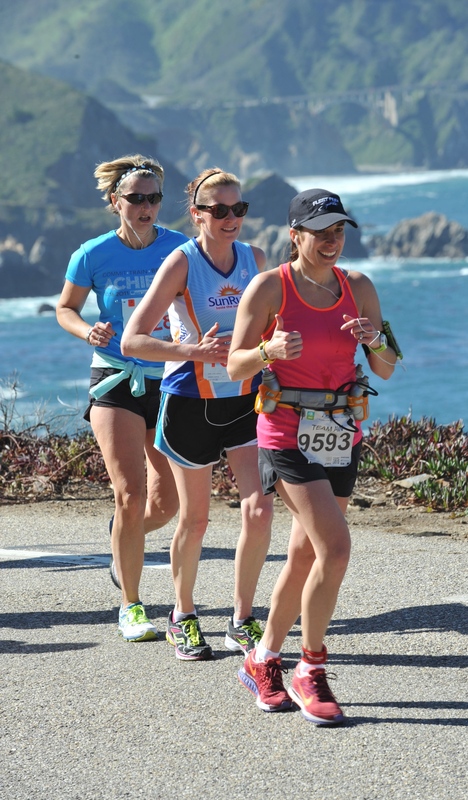 At the Big Sur International Marathon, my soul got a huge helping of some of God’s most incredible creations. The breathtaking sites and sounds I witnessed on that long and curvy road from Big Sur to Carmel will keep my soul satiated for a long time to come. I run because it makes me FEEL ALIVE! During a long run, I am working and feeling with every inch of my body. 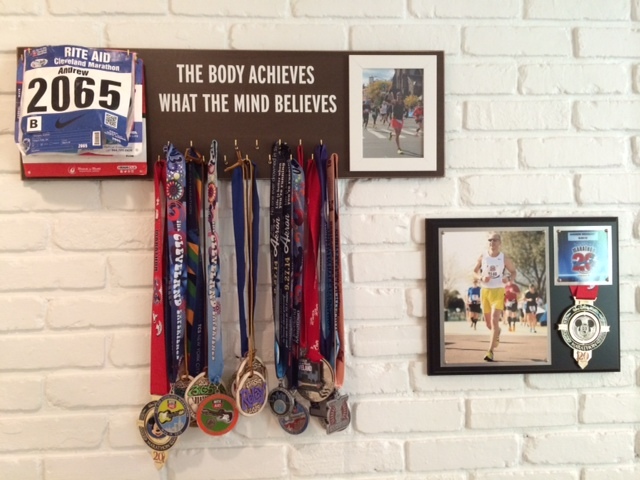 Throughout my first marathon I asked my body for everything it could give. I ran with blisters on my feet, sweat-drenched clothes, chafed skin, and cramps in every muscle of my legs. Inside I was experiencing an emotional roller coaster ranging from nervousness to complete euphoria. And I persevered through all of it. I’m not sure what else in life can make you feel more alive than that. I run because there is no better feeling than running through self-doubt, achieving a goal and realizing that you are capable of so much more than you thought possible. It transcends every part of your life. 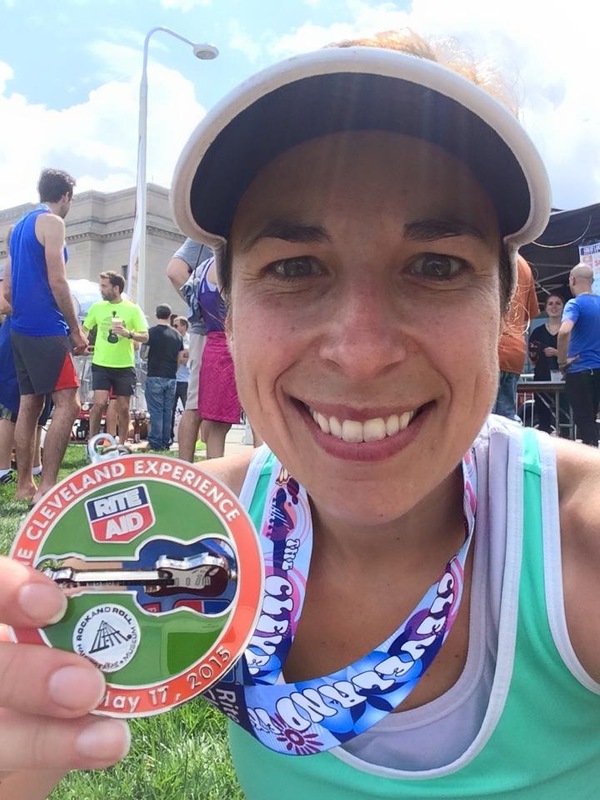 On April 26th, I began my first 26.2 mile race with plenty of self-doubt. Before then I had only run 20 miles and I felt completely spent. 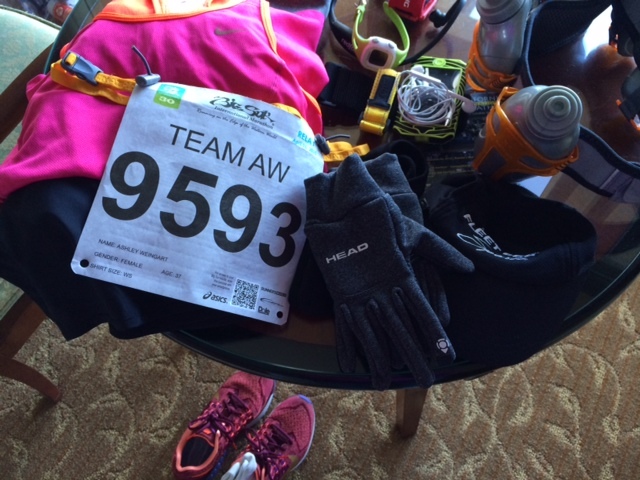 I entered my first marathon with fear of the unknown. A big part of me wondered if I could really do it. I realize now it doesn’t matter how long it took me, I FINISHED what I thought was impossible and I turned SELF-DOUBT INTO SELF-LOVE. On April 26th, 2015, I was lucky enough to spend an entire four hours and forty one minutes on what is perhaps the most beautiful stretch of road on the planet. I was fortunate enough to spend all that time doing something I love in a place that I love. In a pre-race training run I learned that “FASTER IS NOT ALWAYS BETTER.” I was reminded of that lesson running this race. In life, we have to remind ourselves now and then to slow down, to stop and smell the roses. I’ve discovered that we should sometimes do the same when we’re running. The way I look at it now, in the Big Sur International Marathon, perhaps the people who finish LAST are actually the winners, because they get to enjoy all of this vast, divine beauty longer than anyone else.